San Francisco’s gang problem is not new. In the 1850s, the “Sydney Ducks,” a gang of ex-cons from Australia, reportedly committed countless murders, robberies, assaults, and arsons in Sydney-Town, an area that encompassed much of today’s Financial District. A group called the “Committee of Vigilance” responded to the violence by conducting secret trials, lynchings, deportations, and summary executions. While the vigilantes were successful in driving out the criminal element, many innocent people were also misidentified and stereotyped as gang members. One hundred years later, during the 1950s, scores of youth “clubs” ran the streets of San Francisco. They robbed, stole, and engaged in “rumbles,” while wearing jackets emblazoned with the name of their clique: the Ravens, the Warlords, the Lonely Ones, the Warriors. This time, San Francisco’s response was different. A non-profit organization called Youth for Service was formed in 1957 by the American Friends Service Committee to recruit youth gangs to do various community service projects, usually involving construction, maintenance and environmental work. Youth for Service was successful in providing jobs and training to thousands of gang members. In 2008, gangs and gang violence still exist in San Francisco. Unlike the large, organized gangs of cities like Los Angeles, where the membership of a single gang can reach the thousands, San Francisco gangs tend to be small groups comprised of 10-25 people. According to a 2004 study commissioned by San Francisco as part of the Gang Free Communities Initiative, most people join gangs during their youth to obtain a sense of belonging and financial gain. Of course, youth involved in gangs today are met with the same community mistrust, consternation, and outrage as gang members in the past. 1. Establish a Working Relationship between SF Police Department, Probation and Community-based Organizations that Specialize in Gang Outreach/Intervention Work. In 2007, Los Angeles saw a 50% drop in killings in some South L.A. neighborhoods, such as Watts, after police embarked on a new strategy that involves working with ex-gang members to help prevent violence. Rather than trying to suppress violence entirely, this approach minimizes the effects of inevitable flare-ups and retaliatory violence. San Francisco already has a number of community-based programs that employ street outreach workers, former gang members, and youth counselors – HOMEY, United Playaz, and Brothers Against Guns, to name a few. The San Francisco Police Department should collaborate with community-based programs to bring warring parties together to resolve differences in a peaceful way and expand street outreach efforts to counsel youth to stay out of gangs. 2. Offer Outreach Programs in Schools through a Partnership with San Francisco Unified School District. According to the Gang Free Communities Initiative report, commissioned by San Francisco in 2004, schools are central areas for gang violence, gang recruiting and gang drug dealing. The report also found that youth generally become involved with gangs before age 15. Alliances with educational leaders are critical. We must encourage tools of restorative justice to combat bullying, stealing, and other issues in the classroom. Programming in schools should incorporate recreational sports, so that young people can channel their aggression. Culturally competent academic programming must be supported to teach youth about their history and foster cultural self-worth in order replace the sense of identity, pride and respect that gangs offer young people. 3. Create Peace Councils in Affected Neighborhoods. Law enforcement cannot initiate gang truces. These must come from the leadership of the gangs themselves. However, in the world of gang warfare, where the line between victim and offender is often skewed, gang members find themselves caught in a deadly cycle of retaliatory violence. By encouraging dialogue to address these deep-rooted feelings of anger and pain, Peace Councils may help set warring parties onto a path of restoration and peace. 4. Increase Community-based Gang-Intervention. These efforts must go beyond prevention alone. The 2004 Gang Free Communities Initiative Report found that “interventions that focus merely on educating youth on the risks of gang participation are likely to fail.” The report also found that law enforcement intervention was likely to have little effect on whether a person quit a gang. Instead, interventions should focus on providing or supporting institutions (family, school, faith, recreation, and after-school programs) that supplant gangs in the areas that participants see as beneficial: monetary gain, sense of support, belonging, and fun. According to the report, even in the most impacted neighborhoods, only a tiny percentage of youth actually joins a gang. Identifying at-risk youth and understanding their needs are vital to successful intervention. Intervention programs must offer language, age and gender appropriate services. Furthermore, programs must be willing to embrace youth culture and encourage them to communicate on their terms and in the language of their generation. Encouraging parent participation in intervention programs will also serve to break generational cycles of gang involvement. 5. Provide Jobs and Life Skills Training to Former Gang Members Who Agree Not to Engage in Acts of Violence. Parents may offer their child a dollar to clean his or her room. Similarly, we can encourage youth and young adults to clean up their acts by giving them access to jobs and a living wage. San Francisco has the economy to financially invest in jobs and life skills for at-risk young adults and offer them a viable alternative to street enterprise. This investment will encourage the type of self-worth, pride, and perspective that can only come with self-reliance. 6. Formulate an Exit Process for People Named in Gang Injunctions. Civil gang injunctions impose probation-like restrictions on individuals who are listed on the injunctions for life. Many jurisdictions that employ gang injunctions have designed an exit process, also known as an “opt-out” procedure, for people to seek release from the prohibitions they impose. In Los Angeles, a person named in a gang injunction may “petition” the City Attorney’s Office to be removed from an injunction by submitting a personal statement explaining why he or she is not a gang member. The process also requires that every two years each person’s case will be reviewed by the City Attorney’s Office and people will be automatically removed if there is no evidence of “active” gang membership. San Francisco has yet to establish an exit process, and, currently, persons named in gang injunctions face lifetime restrictions. There must be a transparent, accessible and fair process to petition the court to be removed from an injunction enforcement list, and indigent individuals should not be required to pay court costs. Furthermore, the exit process should include clear criteria for being removed from the injunction. The Public Defender has already initiated legislation that would accomplish these objectives, and also require that the city monitor crime statistics to determine if the injunctions are effective in reducing crime. 7. Monitor Gang-Related Crimes by Neighborhood. Anecdotal evidence regarding crime trends and the efficacy of injunctions hinder productive dialogue and impede finding sustainable solutions. Compiling crime statistics in the gang injunction zones will be the best way to scrutinize their success. Furthermore, interested parties will be able to access one comprehensive and reliable source of information. In the end, this will lend credibility to current and future policy decisions. 8. Establish Objective Criteria of Gang Membership. San Francisco should establish objective criteria to be used by local law enforcement to identify alleged gang members. Such criteria may include proof of tattoos indicating gang membership or convictions for gang-related crimes. These criteria should be made known to community leaders, youth and even gang members themselves. 9. Employ Reentry Programs to Work with Gang Involved Individuals in the Criminal and Juvenile Justice Systems. Programs that provide job readiness training, job placement, life coaching, substance abuse, anger management, and mentoring to individuals returning to the community from prison or jail are the best defense against criminal recidivism. Giving people the tools necessary to overcome barriers to employment, health, and self-sufficiency provides the ultimate incentive to leave the gang lifestyle. 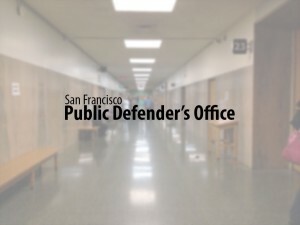 San Francisco has several model programs that could be expanded or replicated in other parts of the city, such as CARECEN’s tattoo removal service and the Sheriff’s Department No Violence Alliance (NOVA) program, a community-based counseling and case management program for ex-offenders. 10. Adopt Measured Outcomes of Success. There must be a system of accountability and outcomes to measure and evaluate the progress of these efforts. The City, through the Department of Children, Youth and Families, the S.F. Unified School District, and the Department of Public Health, should conduct an inventory of gang intervention services in affected areas, and provide an objective method of measuring positive outcomes for gang involved youth, including school attendance and remaining arrest and violence-free. The programs should also agree to work with specific gangs, who may not seek services from service providers located in rival gangs’ neighborhoods. Agencies that have a proven track record of success in reducing gang involvement and violence should be supported and funded. Similarly, the various tools used by local law enforcement and other agencies to combat gang violence should be constantly evaluated and reported to the Mayor and Board of Supervisors. These ten points of action provide a foundation for an effective gang reduction strategy. This strategy will provide San Francisco with the tools required to address the root causes of gang involvement, such as the need for positive mentoring, education, models for peaceful conflict resolution, employment opportunities, and vocational programs. It also requires the cooperation and coordination of law enforcement, community-based organizations, businesses, government agencies, elected officials, and residents. San Franciscans demand and deserve living in a city where they feel safe and secure. Establishing a comprehensive plan, followed by action and accountability, is the first step in realizing this goal. Jeff Adachi serves as the Public Defender of San Francisco, and recently represented several individuals named in the San Francisco gang injunction.